Actually I'm not that kind of person who will takes 2 hours to do my daily makeup lol. I always prefer something easier and not complicated! So this time I'm really excited about it because they are going to show us on how to achieve the simply perfect make up look with this famous Son & Park brand all the way from Korea. As you are probably aware, the phenomenon for achieving a "dewy make up look" that is globally popular today originated from South Korea. What is unbeknownst to some, is how it was pioneered and widely popularized by make up duo Son Dae-Sik and Park Tae-Yun. The two high school friends who shared a love for make up and skincare spent most of their lives honing their craft in beauty, before achieving their status today as the #1 Make Up Artists in South Korea. 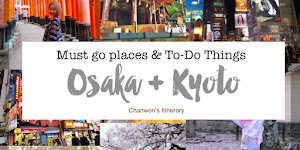 Their current clientele boasts the likes of leading actresses and actors in the country, and it was only in due time before their expertise is shared with the rest of their world via their line, aptly it called Son&Park. This brand was really popular among top actresses & fashion editors and the surprise was, it's now available @Salectiv' by Sasa. It's just right beside the main entrance and what makes me extra excited was looking through all the beautiful colour range of their cosmetic range and products. Let me show you around! If you realised that most of their product was multi-usage and can be use in many ways. I love the whole concept of simply perfect. The whole workshop is quite simple and even I'm not a make up pro I still can achieve that kind of Korean girl look. It's not complicated at all and I really love how they bring in the concept of 1 product = 3 ways of using it! So are you ready for the workshop now? Let's get started! You will get surprised with the amount of product they used to achieve a simply perfect day and night look. For the natural day look, it can be easily achieve with less than 5 products because one of the product can be use as a eyeshadow , blusher & on our lips while to transform it to a night look, all you have to do is just using one of their eyeshadow pencil (which can be use as an eyeliner as well). So basically when you are running out of time or just want to keep everything simple and good to go then you should really look into their product. Few main products that use to create the day and a night look. One of the activity and highlight during the workshop was, a step-by-step demo in front of us and also after looking at it, we need to apply it on our face. It means all of us have to try and test the product and not just taking photo but to try it yourself! Quite interesting right!! So for the first step, I will be using (mainly) the lip cube from Son & Park to achieve the simply perfect day look while for the rest you can choose to add on yourself but this is just a basic tutorial to show you how easily the day look can be done with just 1-2 products. So as I mentioned earlier, this is the lip cube product can be use in more than 2 ways. This product allows you to save more time on your daily make up and for beginner i guess this should one of the top rated product that you should consider to get it for yourself. In the day look tutorial, it's going to stick with the #8 and #11 only. There are more than 4 colour and my favourite was #8 and also #5 , the classy maroon (dark wine red) autumn colour. Since I'm going to use it as an eyeshadow / blusher or as a lipstick, you need to take it little by little and if can, remember to place the product around your hand first then only apply it on the eye area, without pulling the skin. Really would love to give this product a big shoutout because it's so pigmented. I just put a small amount on my hand first and gently pat it using my finger. Then the rest is just apply it on my eye area. Love to use this application method because not only do our fingers provide the body-temperature warmth that brushes can never mimic but also each of your fingers has a different pressure point. But one point is less is more and apply it little by little. Quick , easy and simple! It takes zero knowledge to apply. Just apply it gently like how I did on myself. Here's my before and after application of lip cube #08. Look at it! Good colour payoff, pigmented and easy to apply! Next, apply the same product to your cheeks as a blusher and lips as well. 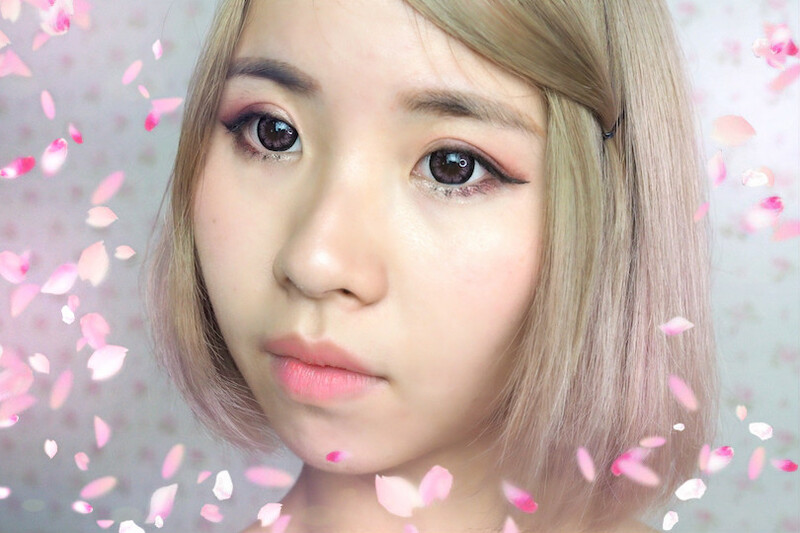 Very natural and easiest way to achieve Korean inspired day look! You can add on an eyeliner or follow it with your favourite mascara too. For the color #11 you can use it on your eyes too as a highlight on your eyelid. 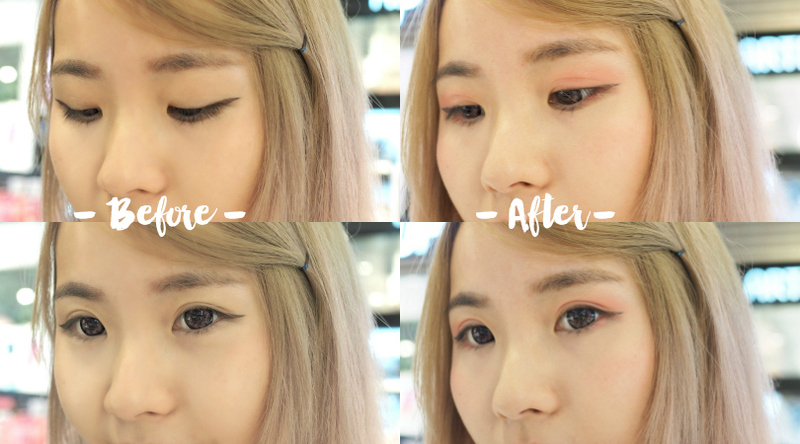 Or if you think a whole pink eyelid is too much for you then you can apply this on half of your eyelid and the rest (bottom + end part of your eyelid) you can blend it well with the pink #08. You can complete the day look with a eyeliner and mascara too! So here's my pinky day look. It really brighten my eye and no longer look sleepy already :p But I guess I should apply more on my cheeks! Am I right?? Next to transform the whole pinky day look to a slightly heavy & mature look, all we need is just the Son & Park multi-item consisting of Eyeshadow & Eyeliner. I called it as eyeshadow-liner pen so it's more easy to remember HAHAHAHA! The ultimate 'weapon' to transform a day look to a night look. Love how smooth and easy to apply it on every surface on our skin. Very pigmented as well , only one application can really see the brown colour came out & also very water-proof. Need to use a oil-based makeup remover to remove it. If you use a makeup remover tissue it might take 2-3 time only can remove everything. 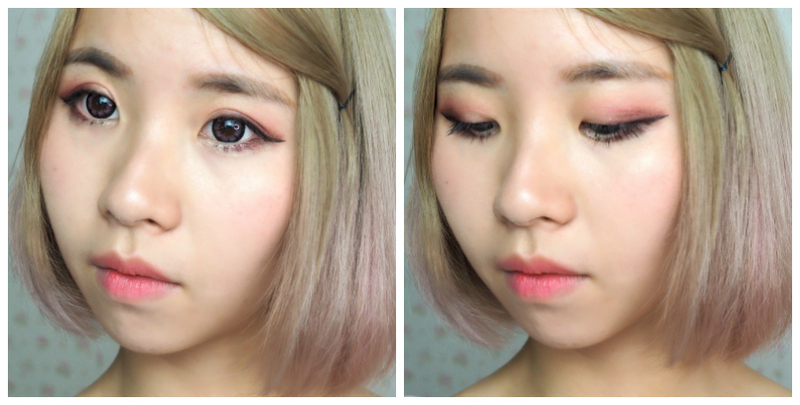 Last demo again on how to transform a day to night look with the Son & Park eyeshadow-liner pen. So as usual, no need any trick on applying it. Just simply apply it at the end + bottom 1/3 part of your upper and lower eyelid. For me I prefer soft-kind looking eyeshadow, so I will blend it well with the pink lip cube that I applied previously. I blend it with a cotton swab or if you are lazy can blend it with your pinky finger. Apply it and transform myself into a Night look! So here's the closer and detail look of the night look. Can't believe it turned quite diff after apply the brown eyeshadow-liner pen. I love the outcome !! seriously!! You can play around with the colour and product. It's last me from morning until night time without smudge or anything! So if you ask which is my favourite product I'm definitely pointing this lip cube!! Try this out!! it's amazing! One product = 3 ways! So at the end of the event I would love to give a big thank you for inviting me to this workshop. Learned how to fully utilise most of the makeup product. Thanks Joyce for this opportunity and it was great to meet you after so long! You unicorn hair looks so pretty! I'm using the #08 lip cube on my lips while Joyce using my favourite #05 the wine red / maroon color too. You can also create a gradient lips with the lip cube product! Sound interesting to you right!! I'm going to try it on my own too. We love how our night look! We were using the same product to achieve the night look but with diff eyeliner method + lips color, we look super stand out and attractive in our own style! and guess what I pick for myself? Had a blast during this workshop and enjoy shopping at the same time. Thanks for everything and if you wish to try the Son & Park product remember to check that out @Selectiv' by Sasa, Mid Valley. That's all for today! 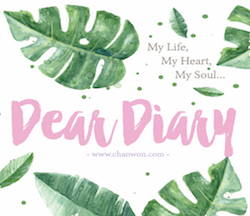 Hope you love my sharing post and review! See you on my next post. You are the queen of make up, as well as I wish I could be some day a lord of papers. So happy for you, that you find your inspiration.